Need a Dumpster Rental in Melrose, MA? Then call the most dependable dumpster rental company for Melrose Robinson Removal Services. With the large fleet of dumpsters serving Melrose MA area and superior customer service, Robinson Removal is an easy choice for all your dumpster rental needs. Roll-off Dumpster Rental service covering Melrose, MA. Or team experienced drivers provide prompt, same day and next day dumpster rental services. With the experience of placing your roll-off dumpster in the tightest of spots at your home or business in Melrose, MA. We offer many sizes of dumpster containers to serve your disposal needs. Dumpster rentals from 10 yard dumpster containers to 40 yard dumpster containers. For a commercial dumpster rental in Melrose, MA contact Robinson Removal Services we work with Melrose construction companies, roofers, stores, schools, factories, hospitals, office buildings and more. 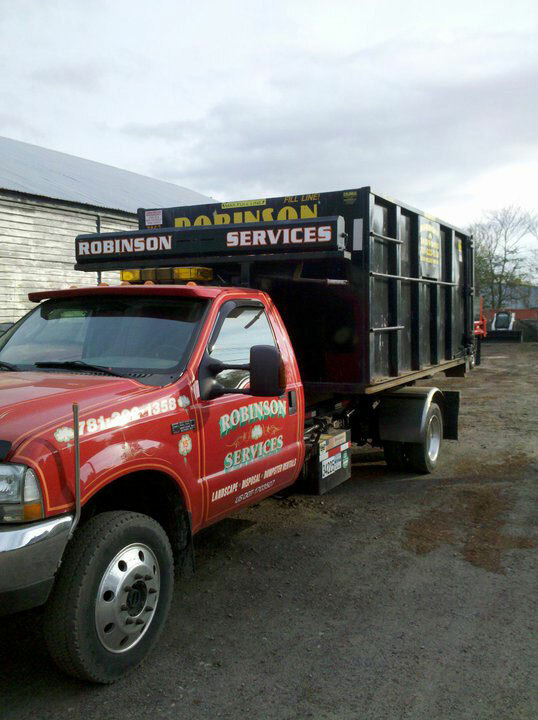 Call Robinson Removal Services to discuss your commercial dumpster rentals in Melrose, MA. Experience the top dumpster rental company in Melrose, MA. Are you renovating your home or clearing out a attic, basement or garage at your home, condo or apartment soon? Then call the experts at Robinson Removal Services to discuss your residential dumpster rentals in Melrose, MA. We will deliver the dumpster for your disposal project and haul that junk or debris away. Have a rubbish or junk removal project you need help with?